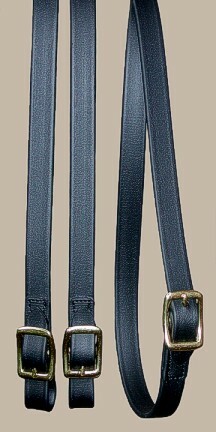 Closed single reins - Features sewn in center bar buckle in center and center bar buckles and scissor snaps at bit end. These reins can be easily used with or without scissor snaps. Scissor snaps come with the reins. Standard rein lengths are 9 & 10 feet. Custom lengths are available. 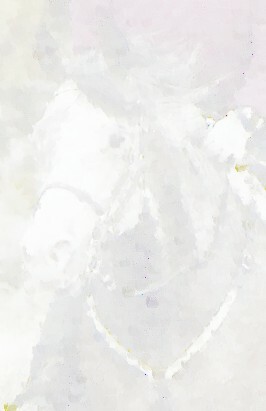 Beta reins may be ordered on line below with PayPal or a credit card in a variety of beta colors. Closed 3/4" beta reins with center bar buckle at bit end and the center with scissor snaps. 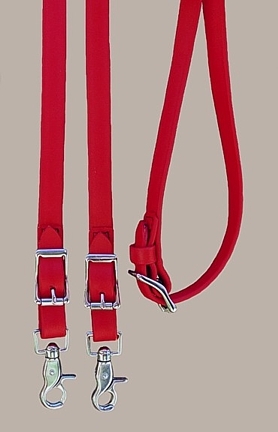 The 3/4" width reins are available in many colors. Please contact us if you wish to order 5/8" reins. They are always available in black and chestnut brown. Below are a few examples. Click on links for larger image. They may ordered on the links above. To order online click link below.